"Value for money is horrible"
✅ Trip Verified | Flight itself was very smooth and take off and landing were good. Air hostesses were horrible. Very rude, inconsiderate, unprofessional and incomprehensible. Value for money is horrible because the inflight meal seems like they've slapped some leftovers together. 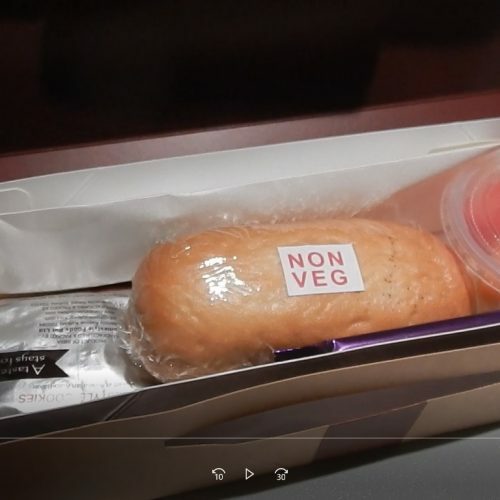 A passenger next to me who had ordered the vegetarian meal, was given a single puri (Indian bread) without any condiments or vegetable side - a pathetic excuse for a meal. The non veg meal was hardly tolerable as well. 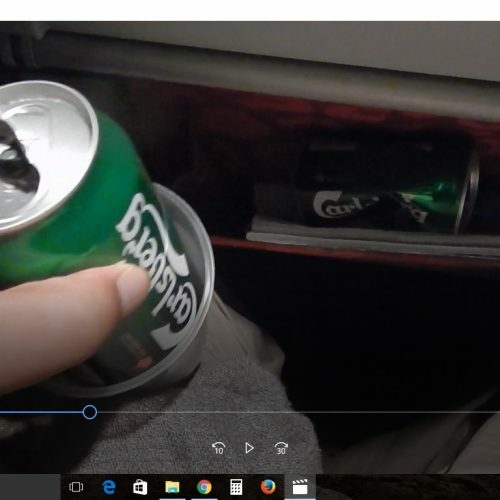 On a flight with mostly elderly citizens, the hospitality was certainly not good. ✅ Verified Review | Kota Kinabalu to Hong Kong. It was a pleasant experience flying on the second day of Chinese New Year. Flight KA060 was delayed until 1500 from the original schedule departure 1200. Due to unforeseen circumstances, I was not able to make my flight connection to Beijing. I was delighted that a notify sms was sent to my mobile informing of such delay. Another notification was sent from BKI based ground staff to further confirm such. I arrived the airport earlier with the hope that I will be able to get a replacement flight to Beijing. Seemingly that it was indeed risky for me to get a connecting flight from HKG to PEK on 1830. They offered me the option of next day departure which I agreed upon. Travelling was made easier as a confirmed seat and boarding pass for CX390 was also issued at the same time. Similarly, hotel was also arranged for me. Upon boarding flight KA060, I was assisted by the cabin crew to my seat. A apology was also made prior to departure informing the reason behind such delay. I am impressed with the professionalism of the flight attendants. In flight meal was promptly served after airborne. I had been flying Cathay Dragon since 2014. Nonetheless, I am slightly disappointed with the in-flight meal. The portion has now been re-sized to smaller portion since 2016. In the last 12 months I had also flown with other airline in this region. 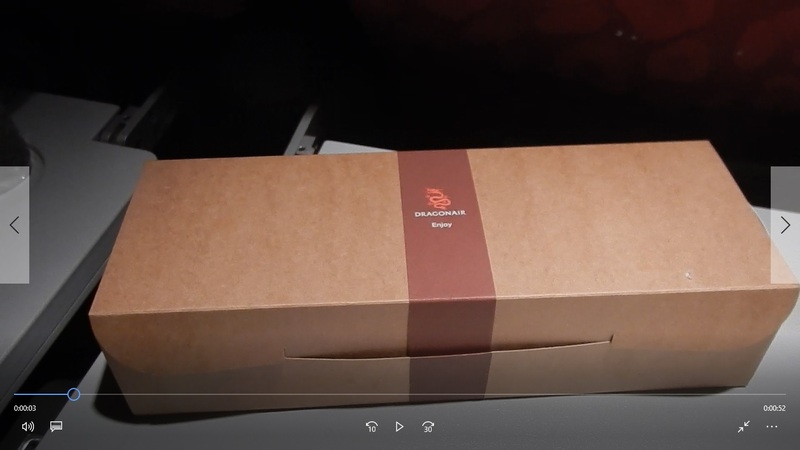 Asiana Airlines still serve dessert and metal cutlery which Cathay Dragon now longer provide. 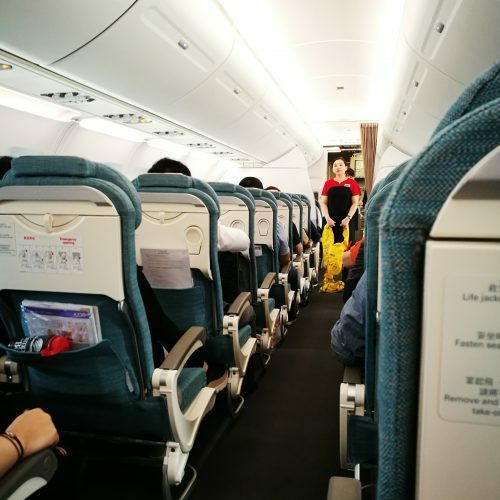 ✅ Verified Review | I commute quite frequently from Hong Kong to Beijing, either on the 5pm Cathay Pacific or the 6pm Cathay Dragon, and it is Dragon that offers better service in general from my experience. The meal is better, though again cabin staff no longer bother to greet members. What is better is the meal choice from Hong Kong restaurant dishes, but what is downgrading is the offer of a piece of cheap 'Hong Kong street cafe cookie' promoted by a local actor unknown to international passengers (wonder if this is advertising). 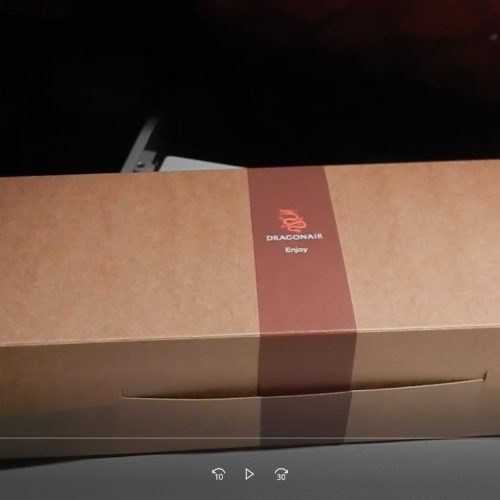 The cookie is not tasteful and its distribution is below the dignity of business class (and I note that on this flight they even have First class). But my dislike of the cookie does not deter me from flying this flight again. ✅ Verified Review | Hong Kong to Da Nang. First day as Cathay Dragon but unfortunately really disappointing. No inflight entertainment, no drinks run of any kind; chose the chicken with noodles but the chicken must have been on holiday. Staff were ok and cabin clean but it all looked rather tired. Have had much better experiences on no-frills airlines for less money. "cabin crew are very nice"
✅ Verified Review | Dragonair is part of Cathay Pacific. From Hong Kong to Guangzhou is less than 100 miles, but they provide an excellent service . When on board, cabin crew deliver a bottle of water and a cookie. The cabin crew are very nice. ✅ Verified Review | Kolkata to Hong Kong. The look of the cabin is like a budget airline cabin with no entertainment, charging plug or Coat hook. However, they do provide blanket and pillow. Seats are comfortable with enough leg room. The food was served in a box, and contained a sandwich, a small bowl of fruit, packet of two cookies and small bar of chocolate. Though the flight starts at 01.15 AM but the quantity of the food served is very less and is not as per Cathay standard. Toilets were clean and fresh. Beverage cart service is not available in the flight but if you ask for any beverages they will give you what you want, subject to availability. Similarly while returning from Hong Kong, they served me whiskey on demand. Crew was very courteous. 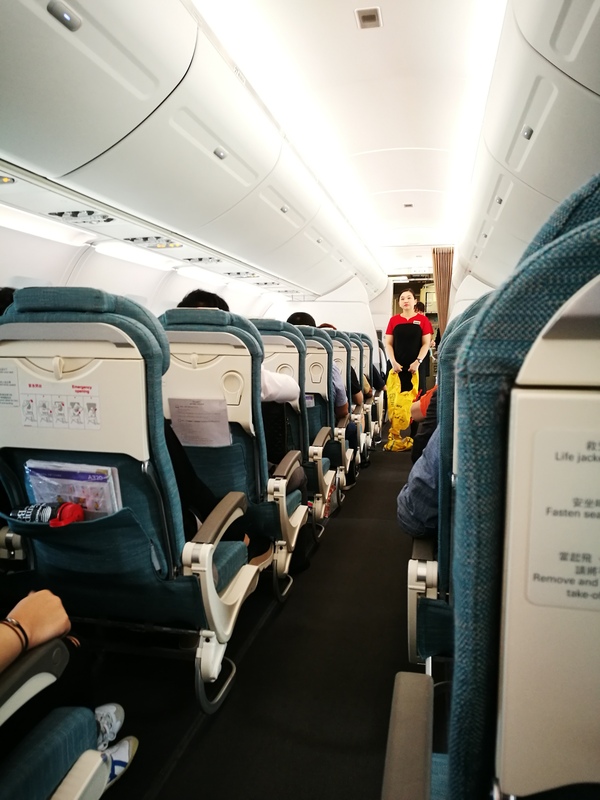 The flight would have been Cathay standard flight if they had added entertainment in their flight like other Cathay / Dragonair flights and improved the food. After all, we are paying more compared to the budget airlines for the services. Kolkata to Hong Kong with Dragonair. An unexpectedly unpleasant flight. Although the aircraft was newish and an iPad laden with a limited selection of entertainment provided, the service was not up to par. The flight attendant, instead of providing me the menu card, read out the options from the copy she held in her hand. There was a couple with an infant who wailed through much of the night flight. In a cabin with just 2 rows and 8 seats, there is no escaping this misery. Very little sleep possible. Furthermore, before landing I was unable to use the lavatory - 2 flight attendants were on their knees cleaning the floor both inside and outside the lavatory it was splashed with water, and covered with absorbent towels. What a mess! Was glad to rush out of the plane when it landed. Connected to this flight to Kolkata in Hong Kong. A shuttle bus carried us to another terminal to board the plane through jetways. Plane departed and arrived on time. Inflight was cheerful and efficient, iPads were provided. It carried a much reduced version of the entertainment provided on Cathay Pacific's US-HKG route. Port wine was served after dessert - a small tub of Haagen Daz - frozen as a stone - on request. Newspapers were all in Chinese - I don't read the language and no amenities bag was provided. Also, the inflight shopping selection was extremely limited. Of the five items I picked from the catalog, only one was available. Lesson learned - don't rely on duty free shopping in the air for buying your gifts. Cathay Dragon is the only operator on this route and having flown over 20 times, it provides a dependable, satisfactory service. 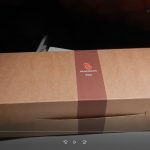 Hong Kong to Beijing with Cathay Dragon. My seat was at the middle of the aircraft. One meal was served and the total flight time was about 3 hours. The meal service was good. The crew were friendly and nice. Nevertheless, the in-flight entertainment system was not quite updated and the legroom of the economy class seat was not quite enough. The area of the restrooms could also be improved. In total, it was enjoyable flight. 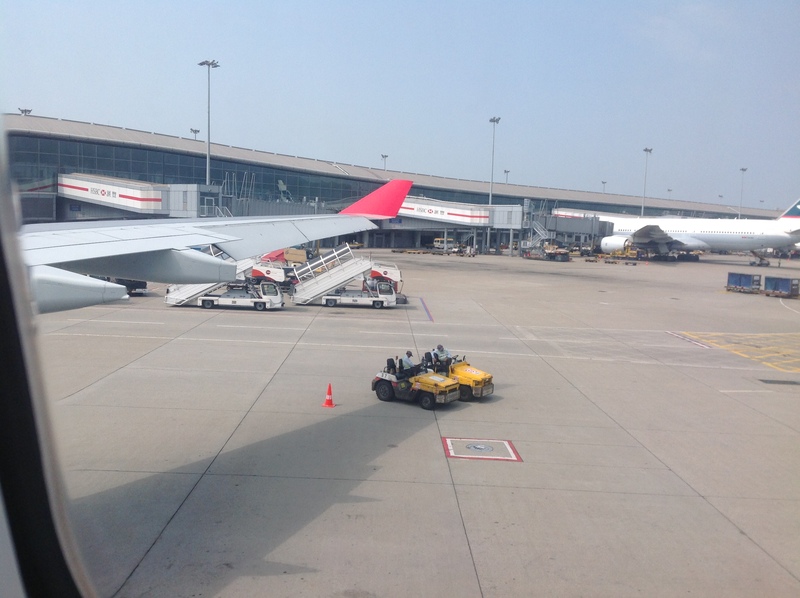 "saw other flight attendants helping"
✅ Verified Review | Flew Dragonair from Hong Kong to Busan. 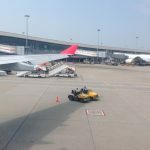 Before landing in Busan, cabin crews started their checks, making sure if all the window blinds were open and all seats were in an upright position. At that time, I asked one of the male cabin crew to help me clear the meal box away, he shouted at me and instructed me to put the meal box into the seat pocket. Many passenger were looking at me which was embarrassing. I saw other flight attendants helping passengers clear their rubbish and the meal box.